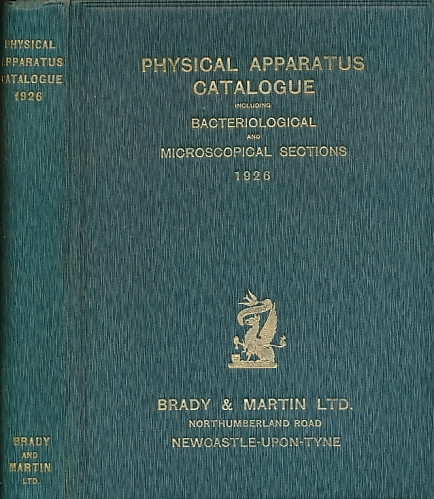 Barter Books : Brady & Martin : Physical Apparatus Catalogue. 1926. Newcastle-upon-Tyne. : Brady & Martin Ltd.
250 x 190 mm (10 x 7 inches) - 429pp. 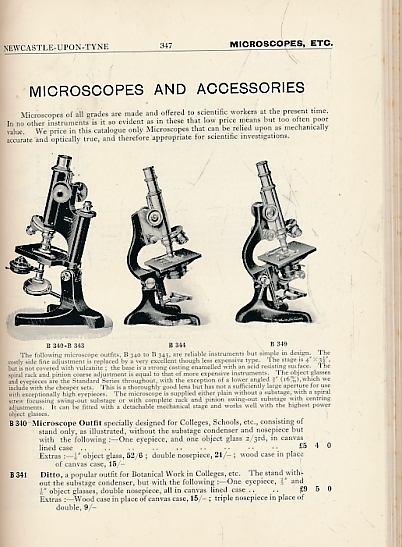 Including Bacteriological and Microscopical Sections and Other Matter.